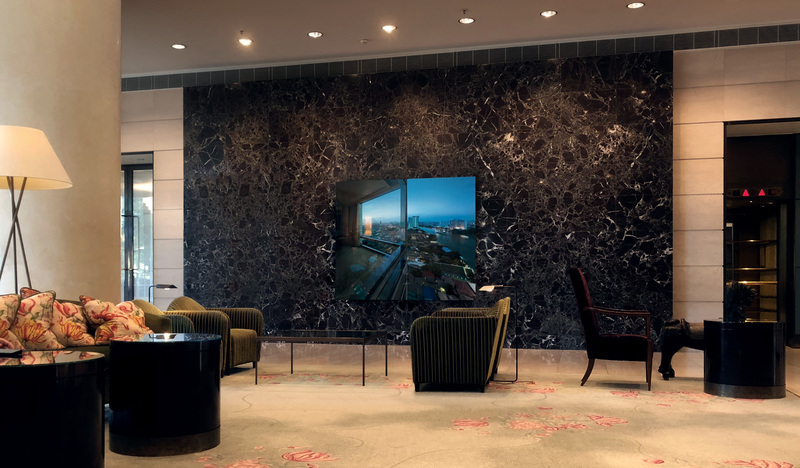 During November 2018 two big photos by Dutch photographer Willem van den Hoed can be seen in the lobby of the Hilton Hotel Amsterdam. 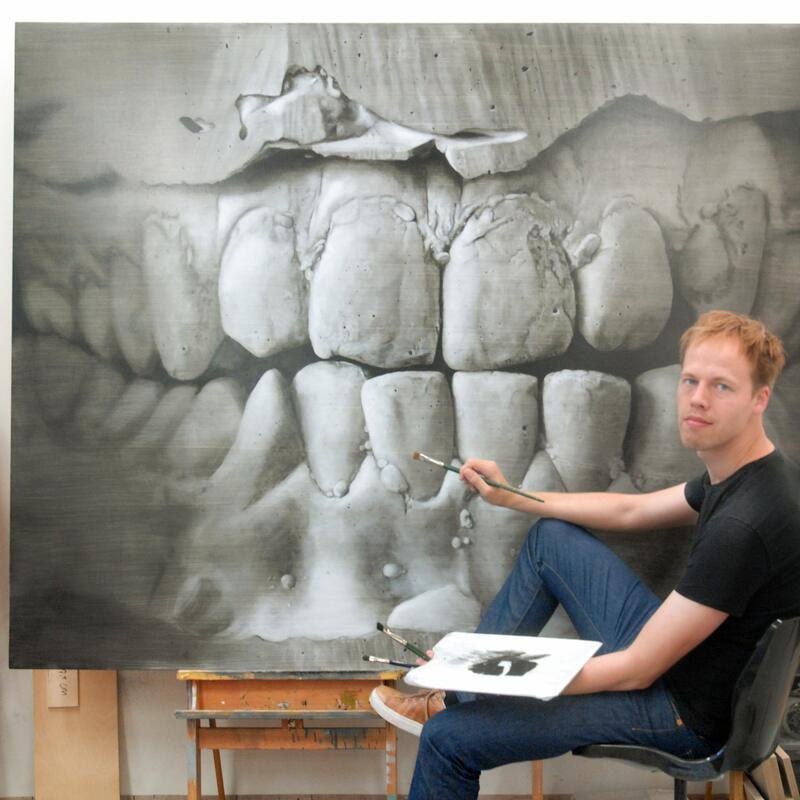 For 4 days the impressive Bijlmerbajes is occupied by more than 70 XL artworks of contemporary artists and designers. 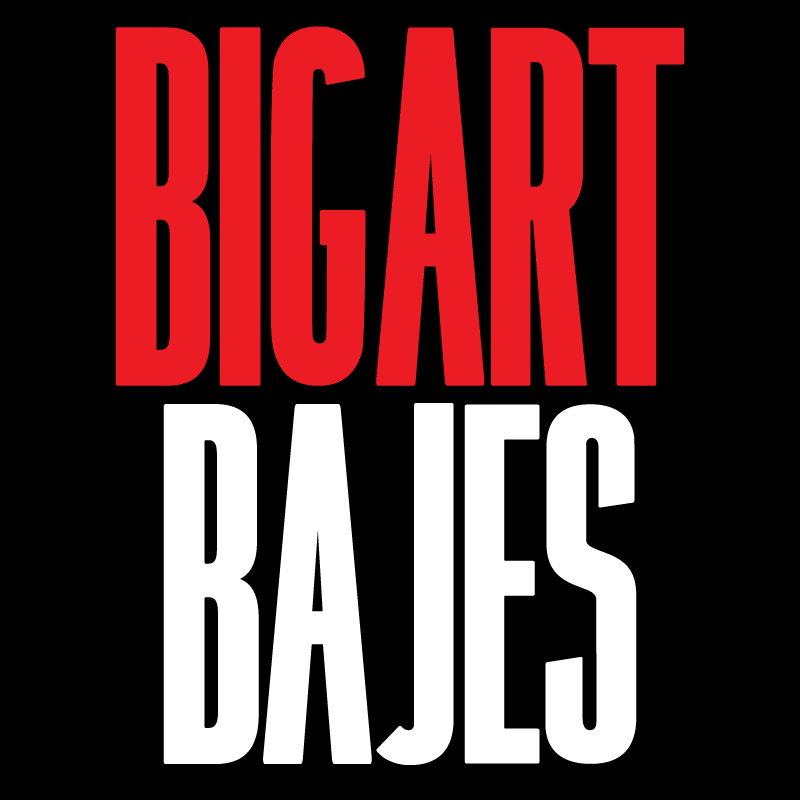 A unique mix of monumental paintings and drawings, large sculptures, big photos and huge installations by acclaimed names and emerging talents. 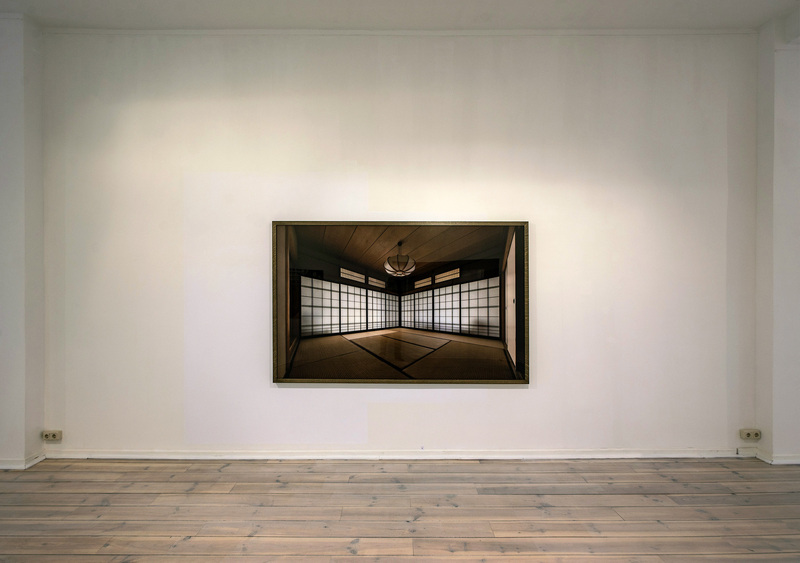 Artist Talk: zondag 30 september. Willem van den Hoed zal dan in gesprek gaan over zijn tentoonstelling en werk met Etienne Boileau ( journalist, schrijver en kunstbemiddelaar). We are closed for the summerbreak untill September 7th and only open by appointment. 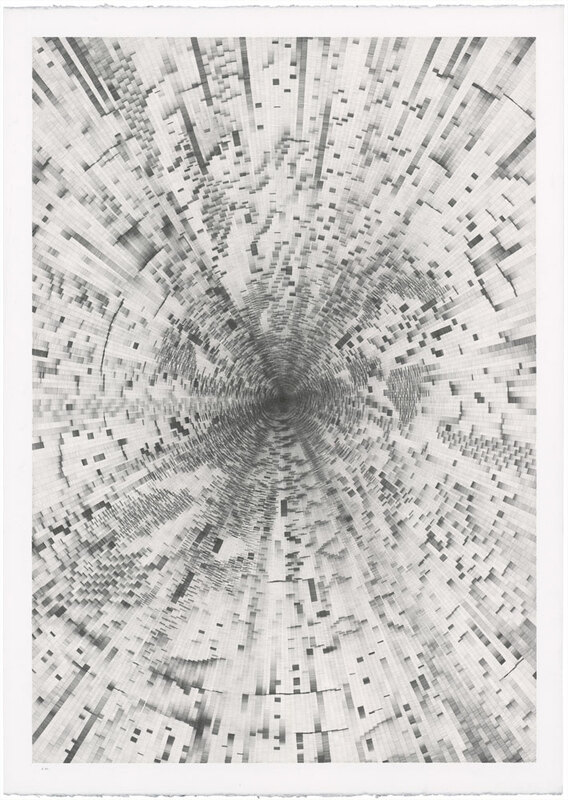 Although 10005 by Willem van den Hoed is sold out for years, Ed. 7/7 is now again availble. Galerie Roger Katwijk is pleased to announce a new collaboration within our programme with the Dutch born, Rotterdam based, Alexandra Roozen. 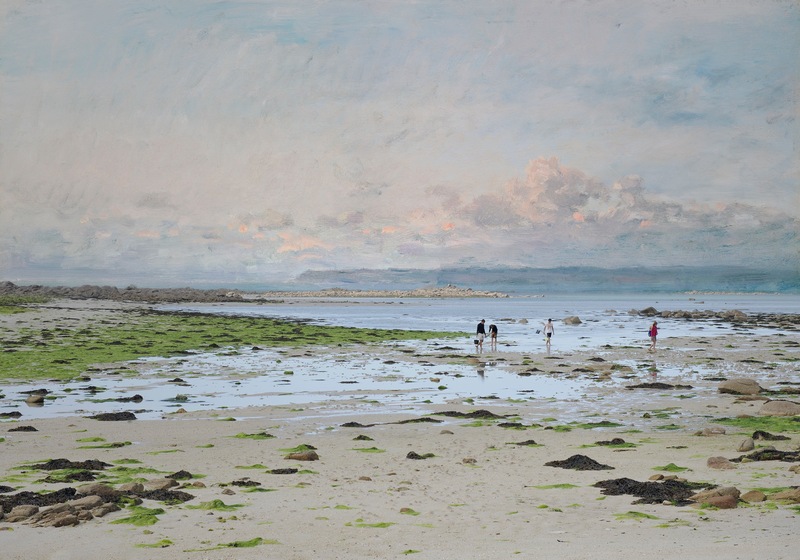 Niek Hendrix has been nominated for the Royal Award for Painting 2017! 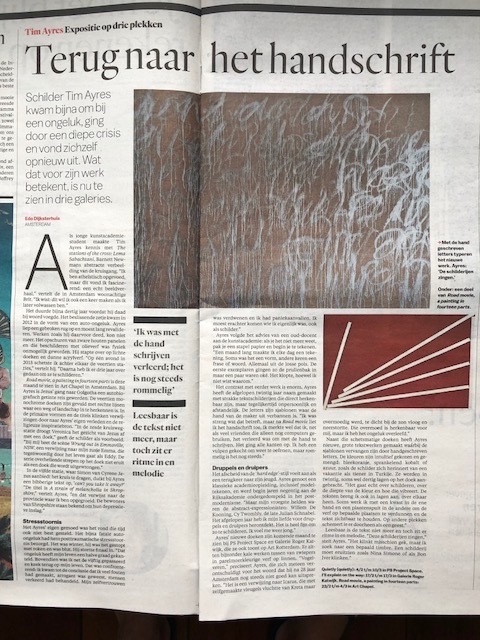 Galerie Roger Katwijk is pleased to announce a new collaboration within our programme with the British born, Amsterdam based, Tim Ayres. Ayres’ work is largely known for it’s use of texts, employing the sharp delineation of stencils to carry the word, or phrase, of the image. 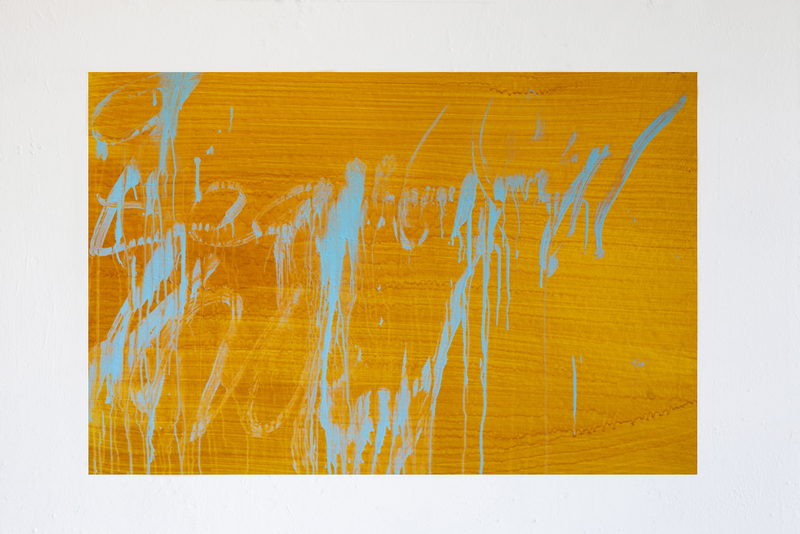 In the last year Ayres has moved away from the hard edge of the stencils and, in a radical visual shift, is now using his own handwriting directly into the image. 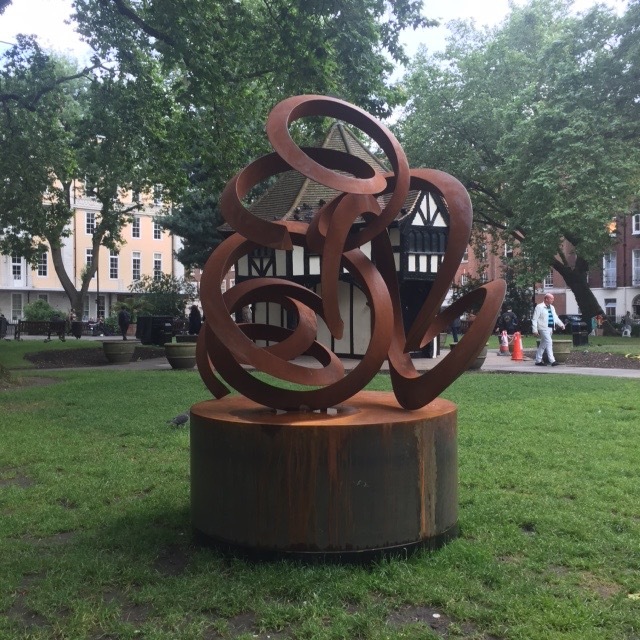 Tim’s work can be found in many private and public collections both in the Netherlands and beyond, including Stedelijk Museum Amsterdam, Schunk Heerlen, The New York Public Library and The Sharjah Museum of Art UAE. In de jaren zeventig kende de zeefdruktechniek een ongekende populariteit bij veel kunstenaars. Door verzadiging in de markt is de vraag naar grafiek en met name zeefdruk toentertijd afgenomen, zo ook de toepassing van de techniek. Zonde – omdat het zoveel meer mogelijkheden biedt dan louter het reproduceren van bestaand werk. Het staat een compleet eigen beeldtaal toe. Door het te combineren met andere technieken, zoals schilderen, tekenen, object of installatie ontstaan verrassende nieuwe synergieën. Studio Onvervalst – onder leiding van Vincent Uilenboek – heeft zeventien toonaangevende kunstenaars uitgedaagd om een uniek werk te vervaardigen middels de zeefdruktechniek. 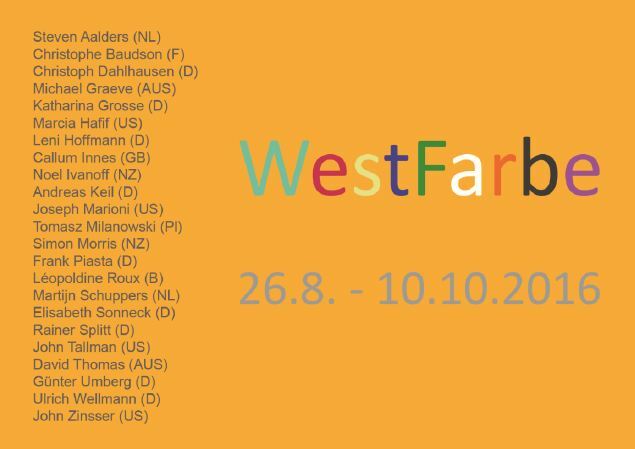 Er is goed gekeken naar wat de techniek zou kunnen toevoegen in ieders oevre en dit heeft geleid naar deze tentoonstelling: een zeldzame diversiteit aan unieke kunstwerken met de zeefdruk als verbindende factor. 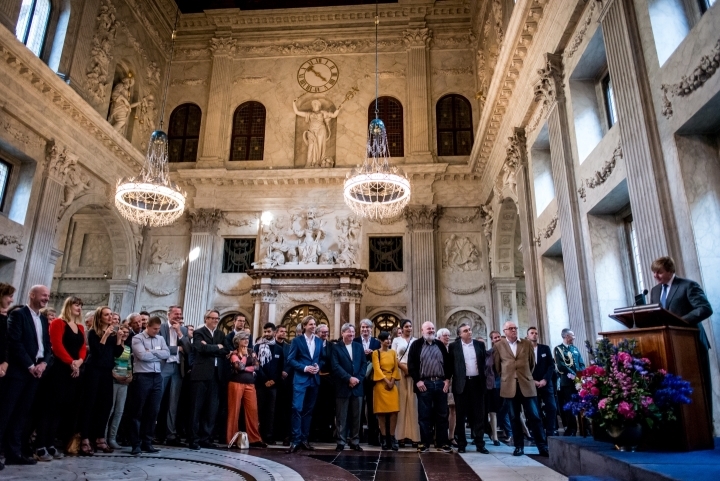 Met werk van: Marcel van den Berg, Rob Bouwman, Erik de Bree, Sigrid Calon, Koen Delaere, Tijl Orlando Frijns, Lieven Hendriks, Gijs van Lith, Guido Nieuwendijk, Jan van der Ploeg, Martijn Schuppers, Esther Tielemans, Sander Reijgers, Jochem Rotteveel, Vincent Uilenbroek, Jan Maarten Voskuil en Coen Vunderink. Tessa Verder gaat in gesprek over haar huidige tentoonstelling in de galerie met Sandrine van Noort, kunstadviseur, curator en hoofd Kunstzaken van het LUMC. 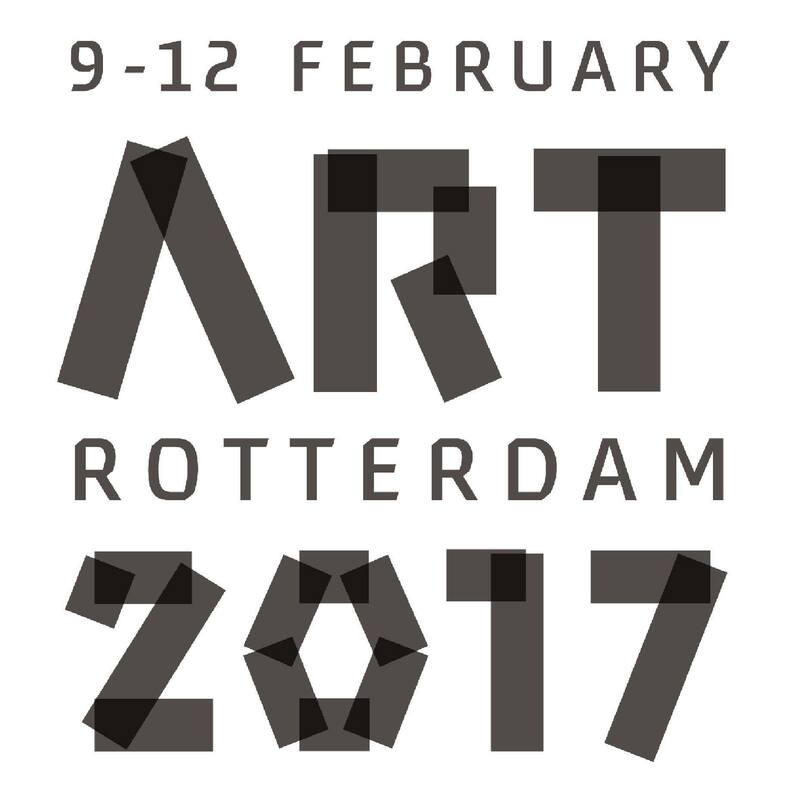 Roger Katwijk is pleased to announce its participation at Art Rotterdam 2017. HOUSTON, TX (May 13, 2016)--For nearly two decades Jae Ko has worked in fiber, transforming ordinary materials like paper and vinyl cords into extraordinary sculptural objects. Her work ranges from discrete wall reliefs and small sculptures to monumental installations that evoke topography and movement. 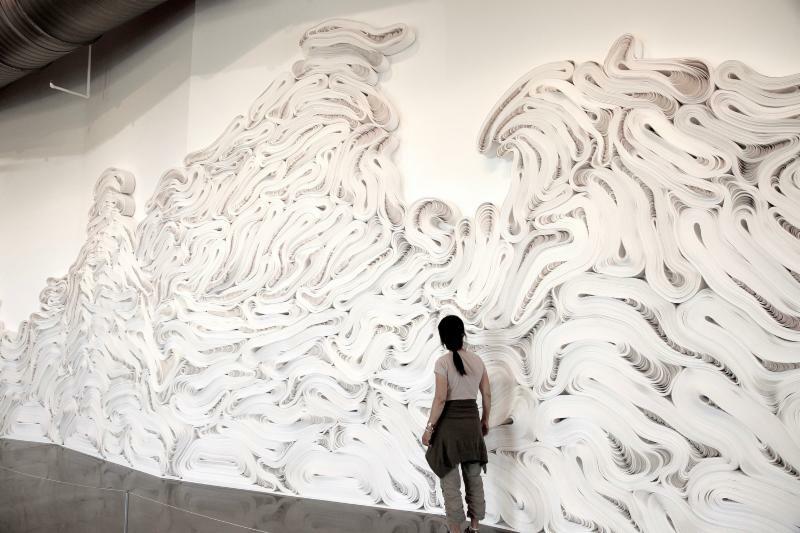 For her debut at the Contemporary Arts Museum Houston, Ko will create a site-specific installation entitled flow 流, the newest iteration in a series she calls "Forces of Nature." Inspired by visits to Newfoundland and the far northwestern reaches of the United States, Ko reconstructs the melting Tundra, with its floating, fractured glaciers. 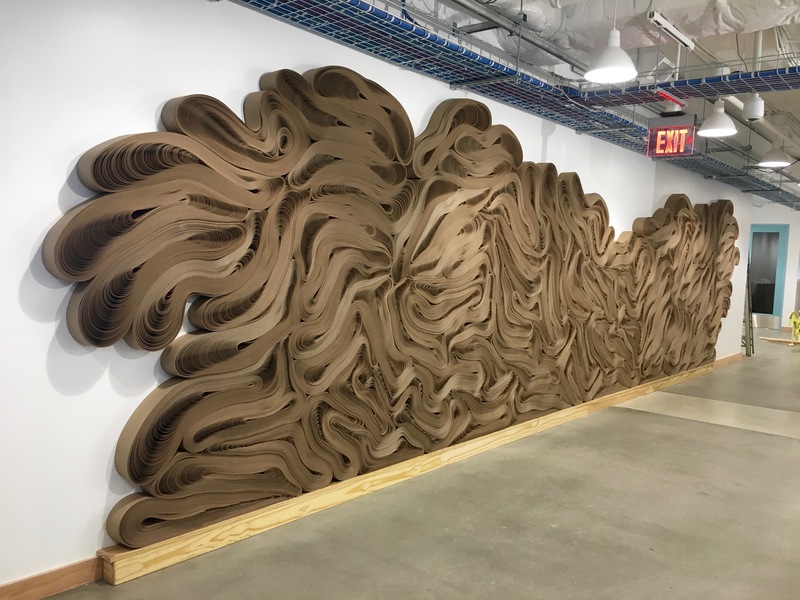 The room-sized sculptural relief is constructed from nearly one ton of recycled commercial adding machine paper that has been re-spooled and shaped to fit the architecture of CAMH's Zilkha Gallery. The very nature of the material appears changed within the space as it in turn alters the gallery's concrete, stark architecture into undulating surfaces of white formations that suggest imperceptible movements that come from the material's play with light and shadow. Born in Korea, Ko studied graphic and commercial design in Japan. She often worked with paper as a designer, but her desire to push the medium to unexpected places was the catalyst for a shift in focusing on her art. Her early works were inspired by the rich traditions of Asia--its calligraphy and traditional women's hairstyles. Ko's love of cultural forms as well as process and materiality merged during her formal studies in Japan. Her series of discrete malleable sculptural works made of paper were systematically dyed with traditional inks and graphite powder to create her own form of sculpture and drawing by playing with the lines of the paper. Manipulations with glue and water further distanced the material from its original intent. 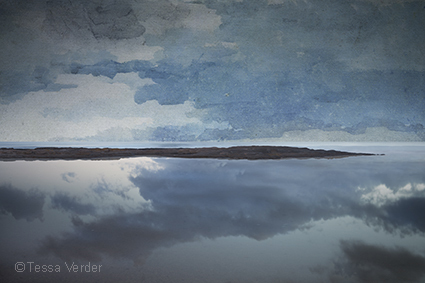 Her more recent works, while still seeped in a visual language of tradition and personal and communal histories, are now imbued with the artist's love of landscape. 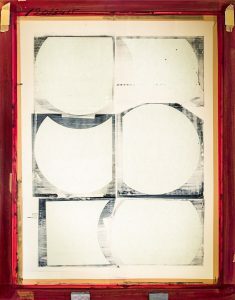 Working laboriously with painstaking precision, Ko uses coils of commercial adding machine paper that she then unspools, rewinds, molds, and shapes. After moving from Washington, D.C. into the more remote island off of Maryland's Western Shore, Ko has shifted from creating smaller works to monumental installations inspired by nature. An artist who has described herself as "obsessed with paper," Ko is as exact as she is intuitive when she works with her favorite material, responding to both it and the space in which it will inhabit. Ko will be working onsite at CAMH for ten days ahead of the opening creating her large, site-specific installation. Guests are invited to see the work as it progresses when visiting the museum during this period. flow 流 is organized by Valerie Cassel Oliver, Senior Curator at the Contemporary Arts Museum Houston. Born in Korea, Jae Ko received her BFA from Wako University, Machida, Tokyo in 1988 and her MFA from the Maryland Institute College of Art (MICA), Baltimore in 1998. She received a Pollock-Krasner Foundation grant in 2002. The artist now works and lives between Maryland and Arlington, Virginia. Her work is in the collection of the Hirshhorn Museum and Sculpture Garden, Washington D.C. and numerous private collections throughout the United States. Ko's site-specific installation Force of Nature, 白 Shiro was recently on view at Grounds for Sculpture in Township, New Jersey. 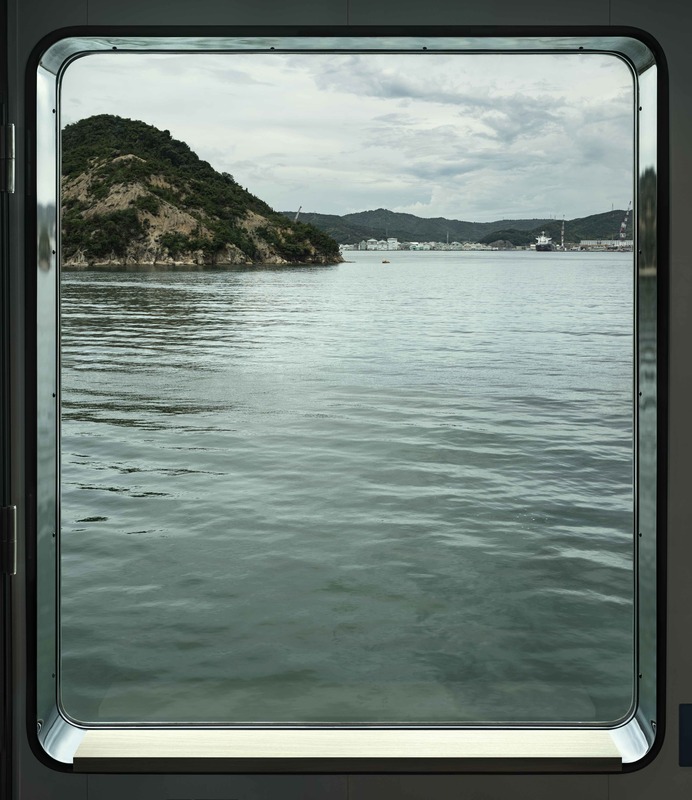 flow 流 is accompanied by an illustrated color catalogue that includes an interview between the artist Jae Ko and Senior Curator Valerie Cassel Oliver. The catalogue features images of the exhibition installation, as well as the artist's biography. 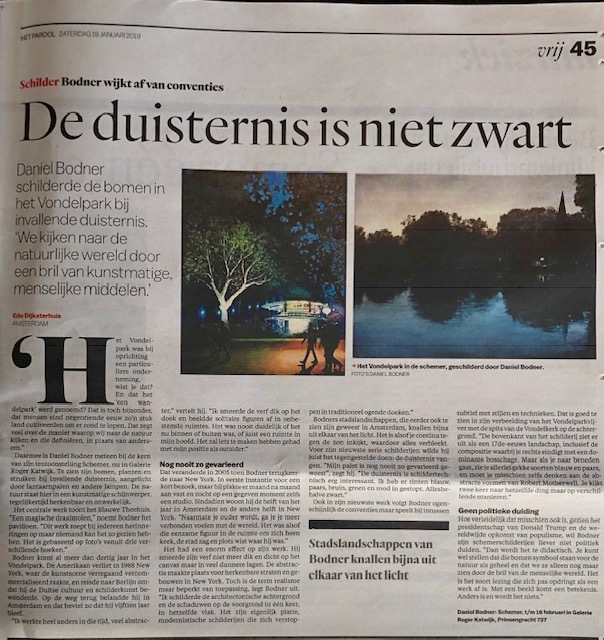 Deze zomer staat Haarlem bol van 'Wanderlust' met de grote thematentoonstelling 'Reiskoorts - bij Nederlandse kunstenaars sinds 1850' in de De Hallen Haarlem. 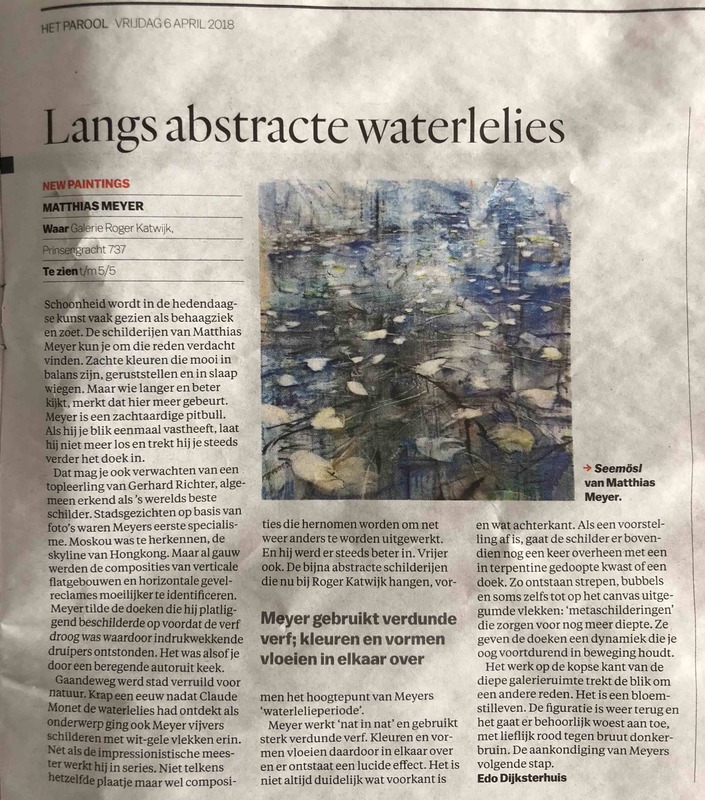 37PK, Platform voor Kunsten in Haarlem, sluit aan bij dit thema met deze solopresentatie van Tessa Verder.